As seen on ThinkGeek, Slashdot and LiveJournal ... I've got myself a Cold Heat soldering iron ^_^. It's supposed to heat itself to the right temperature in 3 seconds, and cool down to room temperature in 3 seconds, and it has some protection against soldering accidents - it won't heat itself up unless two halves of the soldering tip are bridged by some conductor. Maybe I should resurrect my TTL CPU. It was kinda fun, trying to build a CPU from basic logic gates, unfortunately it was pretty hard without the right hardware. A decent soldering iron it certainly going to help. If you want to buy such a toy - in Germany or Poland try Conrad Electronics (shipping from ThinkGeek costs more than the item). In Poland Conrad Electronics also sells them on Allegro. In the U.S. I guess it's ThinkGeek. I want one of these, and I have to research a bit to find one in Sweden or Denmark. This is... excellent. 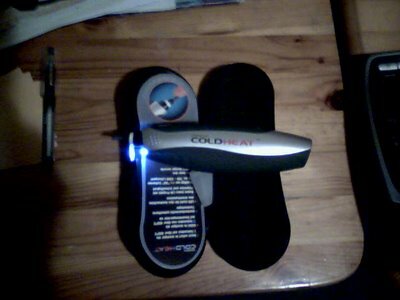 Thanks, T.
Like to use Cold Heat products..